Are you a job seeker? Are you an English speaker who wants to get a job in Russia? Well, you are not alone. There are so many English speakers who seek for jobs in Russia due to several reasons. Those include marriage or foreign students who seek for freelance jobs. Moreover, Russia used to be the house of wealthiest expatriate. So, there is no need to be desperate or having negative thought of finding no jobs as they are open for expatriates as well. 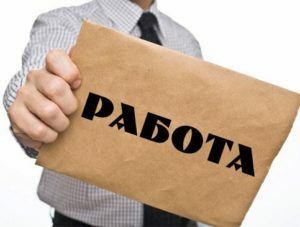 Below are 4 ways and rules to get job in Russia and hopefully you can be one of those wealthy expatriates working in Russia. Also read: etiquette in Russia that you need to know. You may know that you need full work visa to be able to work in foreign country, including Russia. However, there are some exception for those who: already have a permanent residence permit, already have a permanent residence permit, employed in diplomatic missions, media representatives accredited in the country and are invited to the country to teach in educational institutions. Non-CIS residents can apply for two permits. Those are a standard work permit available for any salary level and permit for “specialist.” The process of making the permit requires the involvement of relevant government department sending the permission to an employer to request the work permit. Then, you just have to follow the instruction. An application form completed in Russian. Although you are an English speaker, you have to use write your CV and cover letter in Russian. Failing to do so will make recruiter consider you not willing to speak Russian that makes the company in trouble. However, if you are certain that the company or the place you apply your CV speak English or specify that they need English speaker worker, then you can write your CV in English. Besides, most international company receive CV’s written in English or other languages. Nonetheless, it is best that you translate your key contact information into Russian. For personal details section, include your full name, address, place and date of birth, nationality, marital status, phone number and email. You have to remember that you cannot change your phone number and other contact information you provide in certain period of time. Because there is a tendency that the company will call you later. The most important thing about writing a cover letter is that it should be written in the same language as the CV. Next, describe about how you found the job and why you are interested in the position, what relevant skills and expertise you can bring to the role in the company and how you would add value to the role and company. Use a formal business letter layout. This involves listing your full name, address, phone number and email address on the left side of the page. Then include the date, full name (or department) and address of the recipient. After you write the opening, follow with body of the letter. This should describe your reasons for applying for the job and skills. You should also include a closing paragraph. In this part, you should express your interest in the company and role with the hope of getting an interview. Finish the letter appropriately with a formal words, like ‘Yours Sincerely’ or ‘Kind Regards’ (С уважением ваш). Prior to the interview, find out any information about the company and the role you apply. Dress in formal business attire whatever industry the company is doing. Bring all relevant documents, including: a copy of your CV (in both languages if applicable), qualification certificates, employer references and any other relevant paperwork they may have requested and a business card to leave behind. Arrive at least fifteen minutes before the schedule. Be enthusiastic by answering some tough questions. Don’t forget to smile and relax. Ask some questions related to the company background and your position in the end of the interview. Those are 4 ways and rules to get job in Russia. Also read: Russian business dining etiquette.